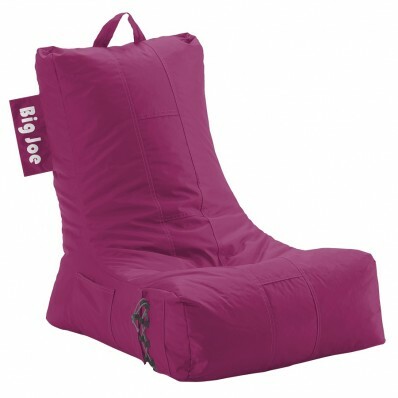 Try the Big Joe Video Lounger in vibrant Pink Passion and we think you will see why this great lounger is at the top of everyone’s list for comfortable, versatile seating. The handy carry handle means you can take it anywhere. The side pocket holds your phone or other material and the patent-pending drink holder means you do not even have to get up once you are seated! The Big Joe Video Lounger is the ultimate in comfortable casual seating. 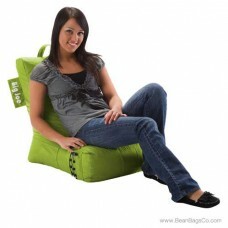 While this chair is comfortable, the most important quality about it is its durability. The outer shell is fashioned from SmartMax fabric, a tough, stain-resistant blend that wipes clean easily and is waterproof and resists tearing. The inner fill is UltimaX Bean, a smaller and denser fill than most bean bag loungers. UltimaX provides you with the very best in support, cradling your body in comfort and conforming to your curves. When you stand up, the beans spring back so that the next time you sit down you experience the luxury of a perfect fit all over again. 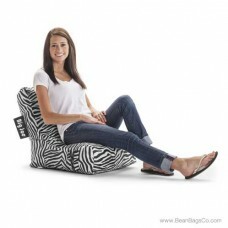 The Big Joe Video Lounger provides the very best in support, easy maintenance, great looks and convenience to give you the perfect lounger for your dorm room, bedroom or den.